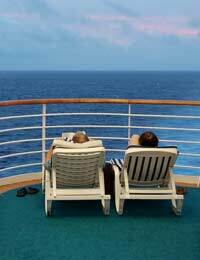 Age is no barrier to travel, and in fact more senior citizens are travelling abroad these days simply because they have more time and money to do so than their younger counterparts! There are considerable benefits for older travellers, who may be able to get good deals on holidays simply because they have the freedom to travel off peak. Travelling out of the crowded summer season also means that the climate is cooler and the attractions less busy. One of the things that can cause seniors to stay at home is the prohibitive cost and difficulty in getting travel insurance. Some travel insurance providers seem to throw higher premiums at absolutely anyone over a certain age, despite their health or any other considerations, which is unfair. Shop around and you can often find insurers who take a more tailored approach to insuring you for your tip – don’t be persuaded to take out extra (and often more expensive) cover for things that you don’t strictly need. Although you shouldn’t skimp on the essentials - you should make sure that you’ve opted for adequate medical and liability coverage – you might not want or need cover for sporting activities, for example. It’s also worth checking whether you can get a better deal if you opt for multi-trip insurance over a single trip policy. If you go abroad more than once a year, it could work out much cheaper to cover yourself for a whole year. People who travel overseas have a 50% chance of suffering a travel-related illness. While most of the things you pick up on holiday are relatively minor, you should be aware of the health issues that might affect you, and make sure that you take all possible precautions. Even minor illnesses can affect older people more seriously so it’s best to be prepared. It’s a good idea for everyone, but especially senior travellers, to see a GP before you travel. Not only will they be able to check you over, but they can advise you on the medicines you need to take and any vaccinations that you should have before you go. Pack your spare pair of glasses, all necessary prescription medicines and a first aid kit. Keep them in your hand luggage when you fly. Use luggage with built in wheels to avoid back pain. Spread your belongings over several smaller bags and don’t put everything into one (heavy) case. If you have any worries about your fitness or health, take supervised, organised tours such as a coach holiday, rather than going it alone. On long flights wear compression socks and get up to walk around every hour or so. Make arrangements for any wheelchairs, guide dogs, or special requirements before you go. Do your research before you leave – find out what medical facilities are close by. Ask your doctor for a letter giving details of your medications and conditions. Carry a Medic-alert tag if you have one. There’s no reason why older travellers can’t carry on globe-trotting for as long as their wander lust lasts. In fact, with the myriad of travel companies who now provide tailor-made holidays to suit more mature tastes, the seniors holiday market looks set to book for years to come. I have booked a package holiday with 'Solitair' (for single travellers). They have given me their ATOL Certificate where I saw that I am also protected under the Package Travel Regulations. They have organised flights, transfers & 7 nights half board at a hotel in Italy. When booking I informed them of my medical condition that impeads my mobility (my age is 50 years & not related). I asked for a room that was in the main hotel with a minimum distance to walk to the facilities. This was agreed & done at no extra cost. I also asked for aisle seats on my flights in order that I can stretch my legs regularly & prevent the muscles from going into spasm on a 3 hour flight. They told me to reserve a particular seat it would cost me £40 per flight (£80 return). The flights are with Thomson who state that if it is for medical reasons seats can be reserved for free. I spoke to Thomson about reserving the seats & said that the person who booked the flights is the person who has to request these seats. I've mailed 'Solitair' again with regards to reserving the seats for free & sent them the link explaining Thomsons position. However they are still insisting I pay a charge which I see as them making money out right on something that is free & should have reserved the seats in the first place when they booked the flights. I am hoping you will be able to advise me on the next best way forward. The holiday starts on 18th May 2018. Many thanks. We are seeking travel insurance for a trip to Australia to see our daughter.Our ages are 76 and 81 so we expected the cost to be high. However we have been quoted over £3000. For £750 we can have a policy that covers most things but excludes claims that arise from any pre-existing condition. However, that leaves us to pick up the bill if something really serious happened. What are the implications of such an event?If one of us had a heart attack and died, the holiday would not continue anyway. The main costs would then be medical services and the cost of getting both the deceased and the survivor back to the UK without delay. This could be very expensive. It would be interesting to learn the experiences of other travellers who have suffered a similar disaster. My partner and I are taking our kids on holiday, my son is 14 and my partners daughter is 16. The holiday is to the Dom rep and thompsons are the operator. We've upgrade our rooms, so the kids get seperate beds, in their room. However thompsons don't seem to guarantee sleeping arrangements and pass the buck to the hotel. They can't guarantee our children separate beds, meaning they could actually be expected to sleep in a king sized bed together. They are of different parents, and have never met. Surely there exists some regulations that force the operatorto cater for teenagers sleeping arrangements. Anyone point me in the right direction? Travel insurance is vital. As we've all found, it becomes more expensive as we grow older, and where medical conditions exist it can be tougher to obtain. It's worthwhile to keep looking, as it's important - being older makes us all more prone to illness and accidents. If you're travelling in Europe, be sure you have and carry your European health card which allows you to obtain emergency care without cost. But for somewhere like America, good travel insurance is a necessity.